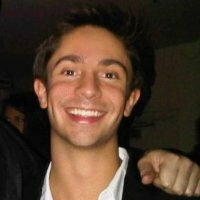 Startup founder and CEO Carlo Cisco is an experienced entrepreneur (he launched his first successful business in college). He has consulted and advised early-stage and growth-stage startups with clients ranging from pre-development stage companies to Groupon. Carlo has also helped local businesses acquire and retain customers since he was 18. He is currently the Founder & CEO of FoodFan. In life, my grandparents. In business, Peter Thiel. “Entrepreneurs break down walls” — this a quote from David Cohen that all entrepreneurs need to remember. Don’t get overwhelmed or discouraged by a challenge. Instead, welcome it. Great entrepreneurs make the impossible possible. Cost-effective does not mean best. At the end of the day companies are people, you need to acquire the best people you can possibly can — don’t settle, especially because of price. Share any updates, address any time-sensitive issues, go over each person’s objectives for the day and get to work on my own. I like to make sure everyone’s focused on what they need to be doing. We have a talented team working on challenging problems, so there’s no reason for anyone to sit idle. I also like to keep everyone in the loop on the progress of the company as whole; it helps keep everyone emotionally invested. Have a clear revenue model. There’s a misconception that startups can build now and monetize later — but this mindset is changing! Whatever you’re building needs to be something you can monetize, not just something that is “cool.” I think people dramatically overestimate growth potential. You don’t need hundreds of millions of users to have a successful company — you just need customers that will pay for your service. Take a good hard look at where your market is today — is there something you’re doing that you shouldn’t be? Is there something you can capitalize on but you’re not? Make those changes NOW. Opportunity doesn’t wait, and you can’t afford to waste time on things that aren’t crucial to your business.